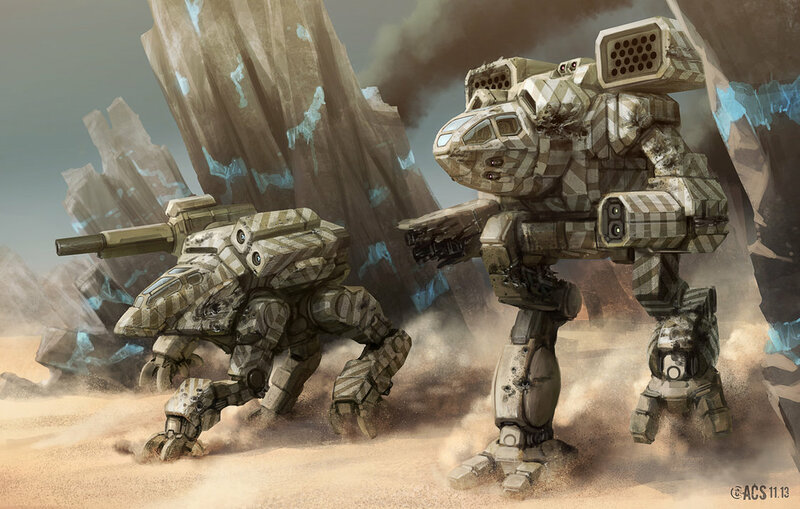 Catalyst has announced more new products to continue BattleTech’s 35th-anniversary celebrations. Hello again, ‘Mech fans! We’re back with another update from Catalyst Games as they’ve announced new products to add to the successful release of the latest box sets, starting with the previously mentioned new map packs. The first new map pack is simple called “Grasslands”, and as the name implies, it’s all about fighting on generally flat, grassy plains. Not a whole lot of difficult terrain, forests, or water to get in the way of a good slugfest here. Just a good, old fashioned, stand-up shootout. 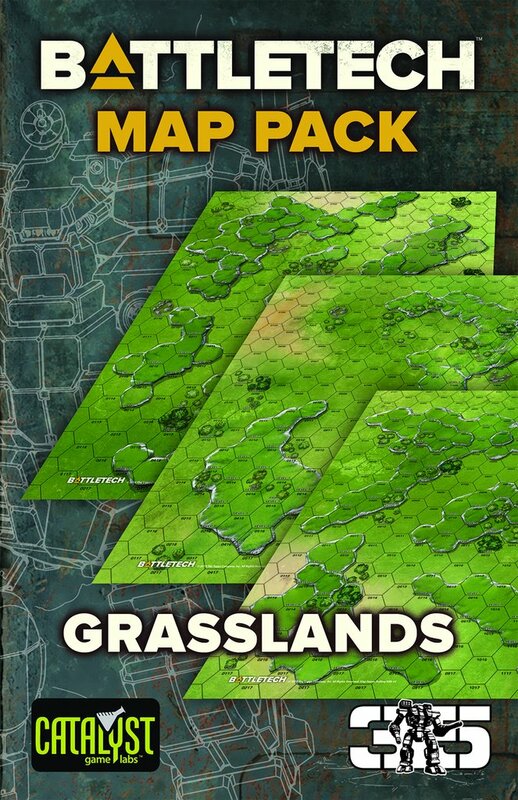 Grasslands comes on 6, double-sided, 17″ x 22″ paper sheets, which means there’s actually 12 maps total. Each map can be flipped and swapped to either side and then lined up to make whatever grassy battlefield you desire. All maps feature the new art aesthetic that’s showcased in the new box sets, and 10 of those maps are brand new, never-before-seen designs. You can pick up Grasslands for $29.99 on the Catalyst store, or wait until April 17th for them to arrive at your local games retailer. Next up is an even more exciting map pack called BattleMaps. These are 4, larger, neoprene maps that come in 4 different flavors: Desert, Lunar, Alpine, and Savannah. But wait, that’s not all! On the other side of these maps are the Grasslands maps, so you get to double your battlefield possibilities. Each BattleMap is 36″ x 22″ and is only available on the Catalyst web store. Each one sells for $29.99, but you pay for durability on these bad boys. Along with new maps comes new fiction. Everyone’s favorite Michael Stackpole is back with a trilogy of new short stories that describe the Kell Hounds’ founding an early years as Morgan and Patrick Kell fought tooth and nail to create their own mercenary company. The first book is entitled Way the Smart Money Bets and is available now, while A Tiny Spot of Rebellion arrives March 22nd. A Clever Bit of Fiction concludes the trilogy on March 27th. Each is available for $3.99 wherever good e-books are sold. Sorry, no paper release is yet planned for this trilogy. We’ll conclude this bit of BattleTech consumerism with a bit of an update on the Beginner Box Set, which is back in stock online and in store. The reprinted Total Warfare manual is now out of stock, but a reprint is underway, while the reprinted TechManual is currently available online but not quite yet available in print–but Catalyst expects to have it available soon. And as always, MechWarriors: Stay Syrupy. This entry was posted in Catalyst Game Labs, News, Novels on 2019/03/21 by Sean. UPDATE: Whoops! Looks like I screwed up: it’s the Record Sheets portion that’s new, not the Technical Readout itself. Either way, go get it! 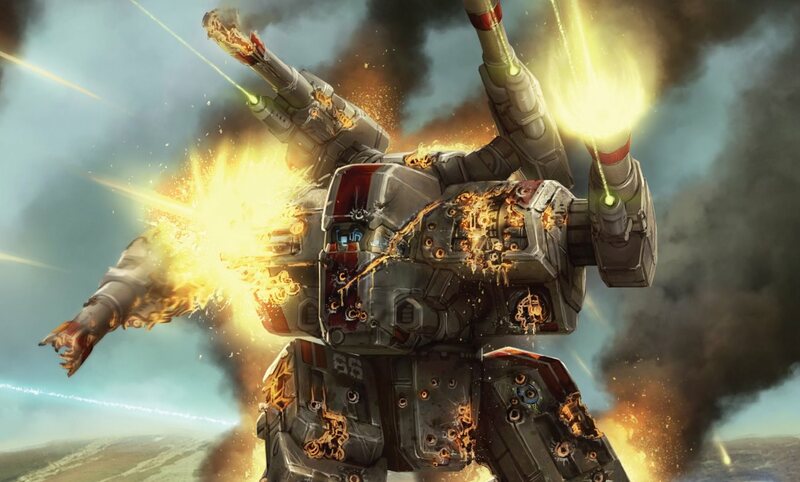 Catalyst Game Labs have announced a new compilation technical readout volume as well as a new version of the all-important BattleTech Manual. With the new box sets finally having made it to stores, it’s time for us to look towards expanding the new players’ repertoire. 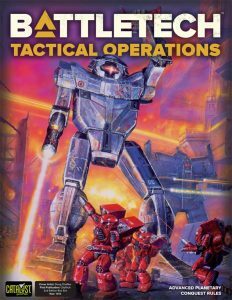 While the latest full version of the game, ‘BattleTech: A Game Of Armored Combat, came with the new BattleTech Manual, it didn’t come with an exhaustive list of every ‘Mech featured during the Succession Wars Era of BattleTech. So Catalyst made a new tech readout with all of them in it. Simple problem, simple solution. 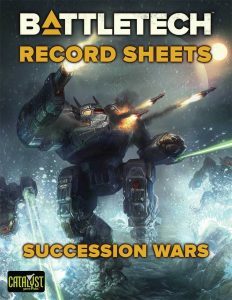 Succession Wars is a compilation volume combining ‘Mechs seen in Record Sheets: 3039 Unabridged, Record Sheets: 3050 Upgrade Unabridged-Clan & Star League, Record Sheets: 3058 Unabridged, and Record Sheets: 3075 Unabridged. I’m assuming only the ‘Mechs seen before the Clan Invasion are featured, otherwise it would be odd to call the new TR “Succession Wars”. And it’s got some sweet cover art. Love me a Dragon, Jenner, and Panther Kurita lance. Succession Wars is $9.99 in PDF format, $39.99 in print, and $44.99 together. Meanwhile, the Record Sheets only is $9.99 with 290 sheets total. 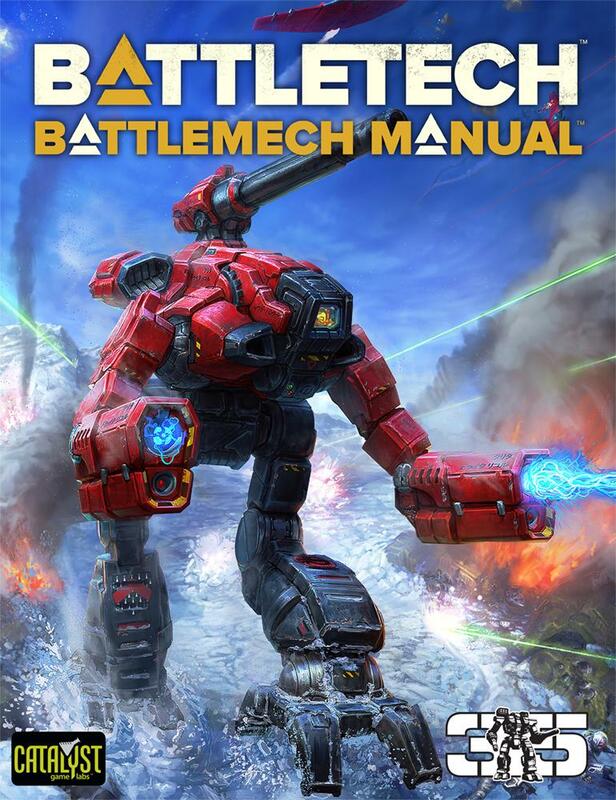 Catalyst has also made the latest version of the official BattleTech Manual available for purchase as well at the same prices as Succession Wars. It has all the latest updates and errata already included, and another spiffy new cover art that would look sweet on anyone’s bookshelf. I mean, who can say no to that Marauder? Anyone? I didn’t think so. Get ‘em both today at Catalyst’s store. This entry was posted in Catalyst Game Labs, News on 2019/02/21 by Sean. 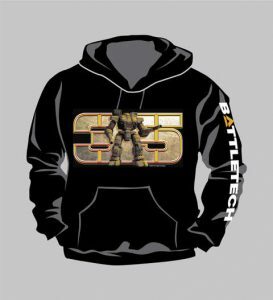 Catalyst Game Labs is celebrating 35 years of BattleTech with a huge release of new products. Way back in 1984, FASA corporation created a game universe that would inspire countless novels, sourcebooks, and video games. Well, actually, not all that countless, but I’ve never bothered counting them all, and I’m sure it’s a very high number. 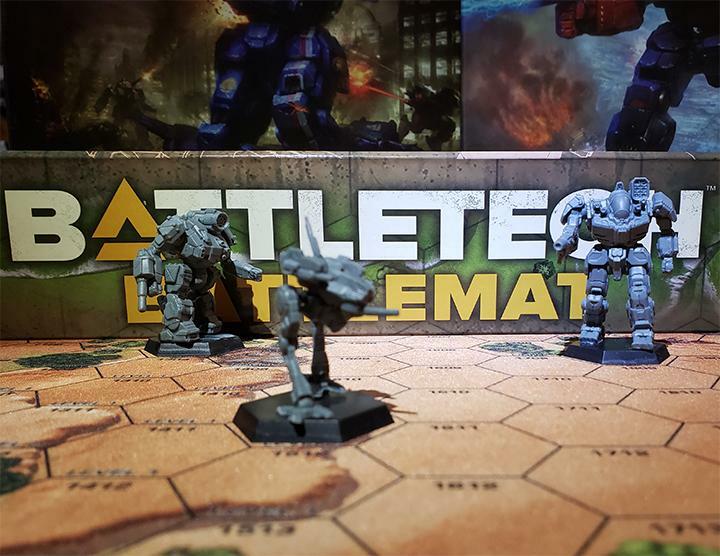 To celebrate BattleTech’s 35th birthday, Catalyst Game Labs–the lovable rapscallions that serve as arbitrators of BattleTech lore and it’s tabletop roots–are giving in fully to their capitalist urges and holding a massive release of some exciting new products. On Wednesday, January 23rd, a bunch of items went up for grabs on Catalyst’s website and in your local games retailer, starting with the box sets. Both the Beginner Box Set and BattleTech: A Game of Armored Combat will be available in-store and online starting on Wednesday. That’s not all: Shattered Fortress will also be available in major retailers on January 23rd, and is already available on Catalysts’ website (and has been for a few weeks now). 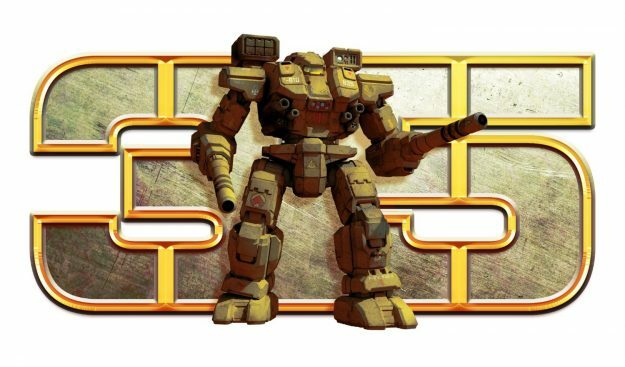 On top of that, a 35th Anniversary Edition of the BattleTech Manual will hit Catalyst’s online store which features all previous errata and the coveted 35th-anniversary logo. Look at that Warhammer. Doesn’t she look pretty? Wouldn’t you like one on a t-shirt or something? Well, good news! Catalyst has developed a mind-reading machine that can also see into the future and has prepared a bunch of 35th-anniversary merch with that same Warhammer logo! That includes a t-shirt, hoodie, and a pin for when you’re forced to be fancy but still want to show your love of BattleTech to the world. And the Warrior Trilogy is back in stores for an anniversary edition PDF or Print on Demand. I’ve read all those stories twice now, so it’s a little less interesting to me, but if you haven’t read them before, you really should. 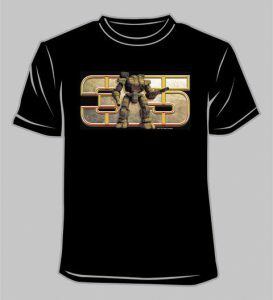 Now, normally we stick with BattleTech related items on Sarna, what with it being a BattleTech wiki and all, but Catalyst also watches over Shadowrun which is another FASA-born universe that I have much love for. If only the rules weren’t a complicated mess in desperate need of some D&D 5th edition simplification, I’d be playing it as my tabletop RPG every week. It’s also Shadowrun’s 30th anniversary, so Catalyst has a bunch of new PDF sourcebooks and merch on sale too. A unique 30th-anniversary logo adorns a t-shirt, hoodie, and pin just as with the BattleTech merch, allowing you to show your love of the Sixth World in style. Full details can be found over on Catalyst’s website. This entry was posted in Catalyst Game Labs, Miniatures, Novels on 2019/01/25 by Sean. UPDATE: Whoops! Someone forgot to press the “publish” button. Here’s a quick update in case you missed it. Alright boys and girls, we got a quick update from Catalyst on those now-mythical box sets. According to the latest update on the Catalyst Game Labs website, both box sets have arrived at the “fulfillment center” and will make it into the distribution pipeline shortly. But we’re not here for platitudes, we’re here for dates, and I’m sorry to report only half the boxes will make it out in time for Christmas–those being the Beginner Box Sets, which will arrive in stores starting December 14th with full availability expected on December 17th. A week before Christmas is cutting it awful close, but it’s better than nothing. The full Game Of Armored Combat won’t arrive in stores until January 23rd. That’s some hard news to take, so Catalyst has some good news to go along with it: Shattered Fortress will also release on January 23rd. As they say in the biz: awww yiss. As always, MechWarriors: Stay Syrupy. This entry was posted in Catalyst Game Labs, News on 2018/12/31 by Sean. 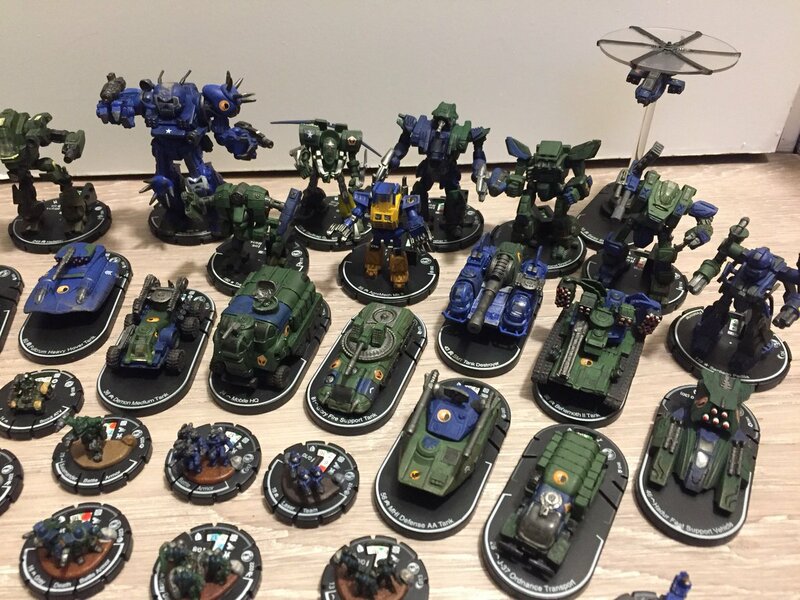 Mech_Con Roundup Day 2 – Harebrained Show, Catalyst Announcements, And A New MWOWC Champion! Day 2, electric boogaloo! After PGI had their big huzzah on the first day of Mech_Con 2018, the rest of the BattleTech companies got their chance at glory. We had Harebrained Schemes show off their latest BattleTech expansion: Flashpoint, Catalyst Game Labs revealed some fancy dice and that the new box sets aren’t a year-long fever dream, and the MechWarrior Online World Championships crowned a new champion! Once again, Harebrained decided to showcase their latest creation by making FASA co-founder Jordan Weisman and Harebrained co-founder Mitch Gitelman duel to the death, but this time, instead of mindlessly jumping on each other for a solid hour, they had Hatchetmen. Er, I mean henchmen. I sadly did not get to see this hopefully yearly tradition when it was broadcast live on Twitch, but thankfully, PGI kept the whole 12-hour video from last Sunday online. So you can see the entire debacle so long as you’re willing to skip to roughly 6 hours in. Which I can do for you. You’re welcome. Like I said, rather than fight it out themselves, the two grandfathers of BattleTech picked two randos out of the audience to be there “advisors”. And by choose, it was more like Gitelman picked the best BattleTech player in Harebrained’s office, while Weisman got Willian von Wilhelm Helmut, the guy who won the Valhalla Tournament Of Champions. Whatever that is. But here’s the thing: BattleTech is a game of random numbers. And on top of that, Weisman and Gitelman weren’t all that good at taking instructions. Weisman eventually fired his general, while Gitelman often ignored sound advice in favor of performing yet another DFA maneuver. This year, the numbers were on Gitelman’s side. While last year he had to serve as Weisman’s bondsman, this year the tables are turned and it will be Weisman who washes Gitelman’s car and brews his lattes. They are from Seattle, after all. The #Mech_con @BATTLETECH_Game Battle of the Graybeards has ended. All hail Jordan Weisman. Friend. Brother. Partner. Afterward the fight (and somewhat during), the two hosted a live Q&A session about the future of BattleTech. 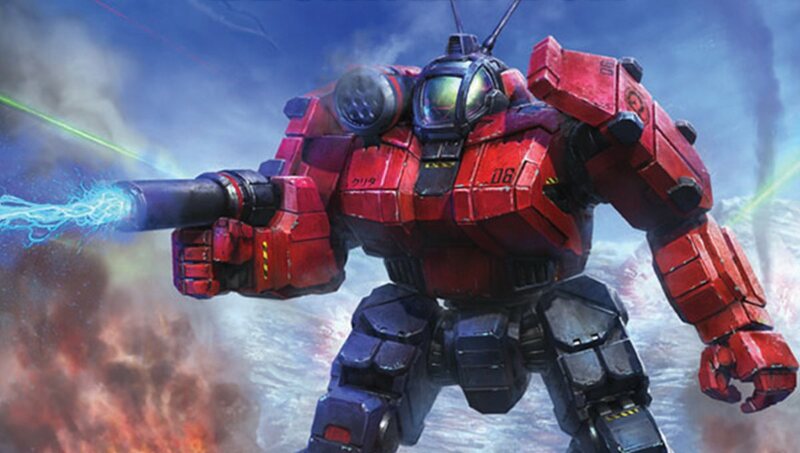 They revealed that more Unseen ‘Mechs are set to arrive, including the Marauder and Warhammer heavy ‘Mechs, but not to expect them in the next planned expansion which is Urban Warfare. 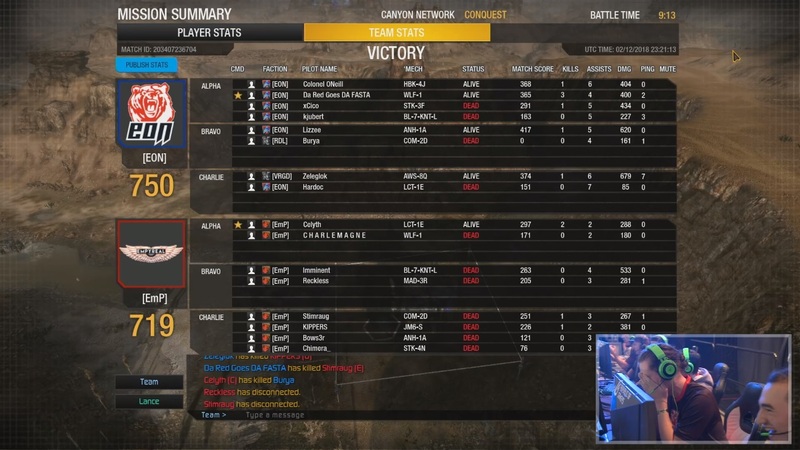 The boys and girls at Catalyst Game Labs were also at Mech_Con to show everyone going gaga over MechWarrior 5 that there’s a simpler, slower, and lower-tech way of playing BattleTech that involves dice, miniatures, and a lot of reading. No, more reading than that–veritable textbooks of reading. Tomes, if you will. I kid. I only wish I had the free time to play an actual, sit-down-and-roll-dice game of BattleTech. The answer: in the warehouse, and expecting to be at brick and mortar stores by the end of the month. It sounds like it might miss the Christmas rush, but maybe you’ll get it in time for New Years. 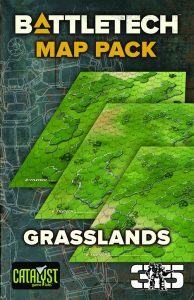 In addition to the new box sets, Catalyst Primary Randall N. Bills and BattleTech Line Developer Brent Evans also dropped a few new items on the horizon, such as new map pack called “grasslands” (to arrive sometime in March) as well as a reprint of the BattleTech Manual for BattleTech’s 35th anniversary. We also got some news about Shattered Fortress, which will become a stepping stone to the hotly anticipated Il-Clan sourcebook. 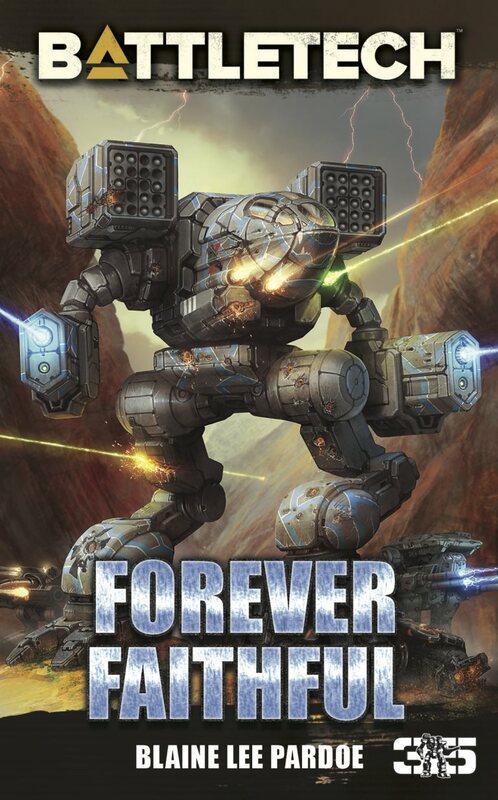 We also got a strong hint that the universe will go back to hammering the Capellan Confederation into space dust in the tradition of the classic BattleTech novels. 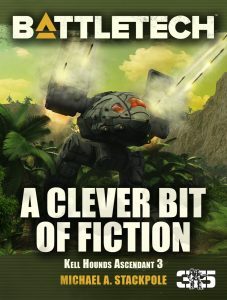 As always, new fiction is the top priority for BattleTech fans, which Evans was happy to reveal that there are no less than 30 fiction projects of varying length currently in progress. These will become available via electronic distribution (ie. Amazon) as soon as they’re done, which we’ll report on once we’ve got a title to share. Oh, and since the whole Unseen business is finally settled, expect to see some new sculpts coming out. We don’t know when, but some redesigned Warhammer and Marauder minis could be here sometime next year. A new day has dawned in competitive MechWarrior Online. Two-time champions EmpyreaL have finally been dethroned by last year’s runner-ups, Eon Synergy. Whereas EmpyreaL was the dominant force in competitive MWO for several years, EON Synergy displayed incredible skill and tactics during this year’s tournament that made them completely unstoppable. 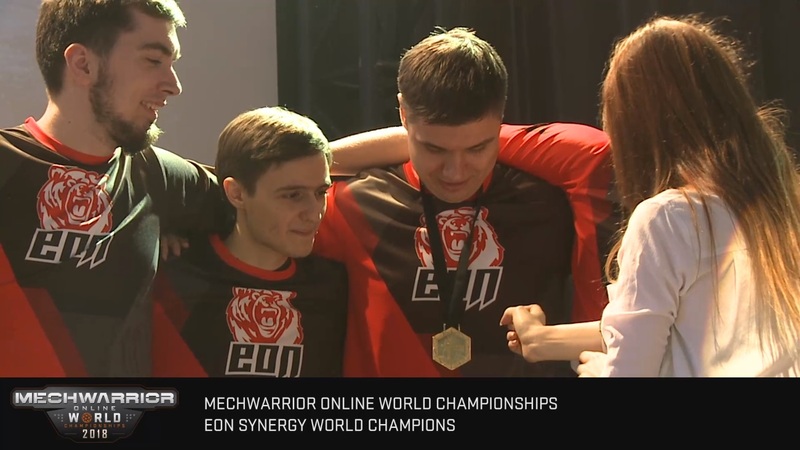 Despite EmpreaL’s team of veteran players, EON never lost a game, and the look of absolute relief after proving that EmpyreaL is not invincible could be felt even through an LCD screen. This year’s winning team were awarded medals and a shared first place prize of $34,653. 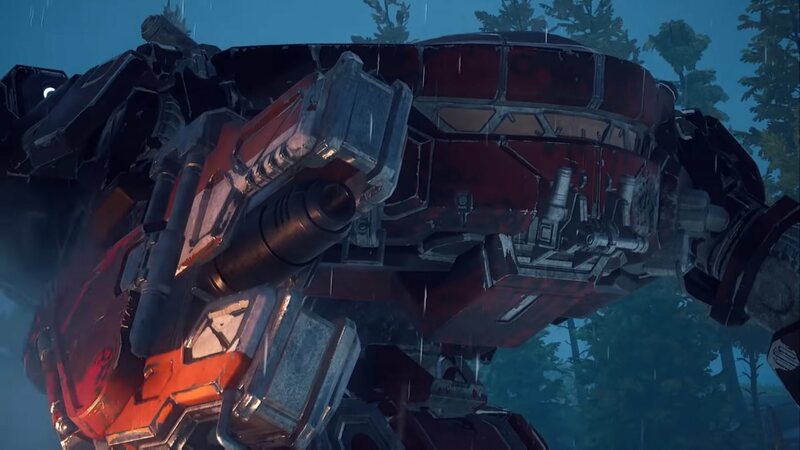 They also got a ton of in-game content, although, with the amount of ‘Mechs these guys probably already have, one wonders just how much value they’ll get with an extra 50 million C-Bills. And that’s it for this year’s Mech_Con! Join us next year when I’ll hopefully get paid to fly to Vancouver on first-class tickets due to the incredible importance of Sarna’s first-hand reporting! And I’ll be sure to bring my BattleTech TCG cards when I do. I heard there were a bunch of you jokesters playing this year. 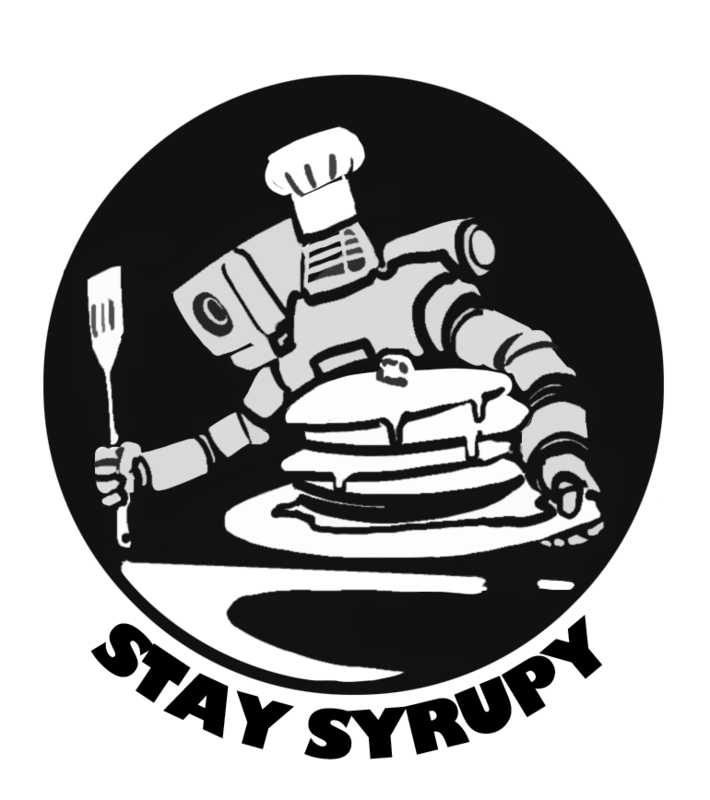 This entry was posted in BattleTech Game, Catalyst Game Labs, Convention, News, Video Games on 2018/12/11 by Sean. Good news, ‘Mech fans! The upcoming BattleTech box sets, including the BattleTech Beginner Box and BattleTech: A Game of Armored Combat, are on their way to America right now! According to Catalyst’s most recent update on the matter, both board games have finally been printed and are on their way. They shipped on October 30th, and are due to arrive on the East Coast somewhere on November 26th. Sadly, it is quite illegal to swarm the dock in order to grab a box before it passes customs, which is likely why Catalyst did not say just which port the shipment would arrive at. It takes approximately one week to clear customs (and we’re being optimistic here), with the box set slated to arrive at the distributor by December 3rd. From there it will be shipped to various stores across the country. Catalyst will provide further updates as the situation warrants. Keep in mind, these dates are subject to change due to weather, postal strikes, or the announcement of World War 3. But if we cross our fingers and pray to the Blessed Blake Himself real hard, we just might see these boxes under our Christmas trees this year. In the meantime, there are a bunch of .pdf products coming out, starting with Touring The Stars: Hall on November 9th. As winter sets in with its icy fingers, sit by the fire with your favorite e-reader and a cup of hot cocoa and read about a fictional planet in a far-off solar system. This entry was posted in Catalyst Game Labs, News on 2018/11/02 by Sean. 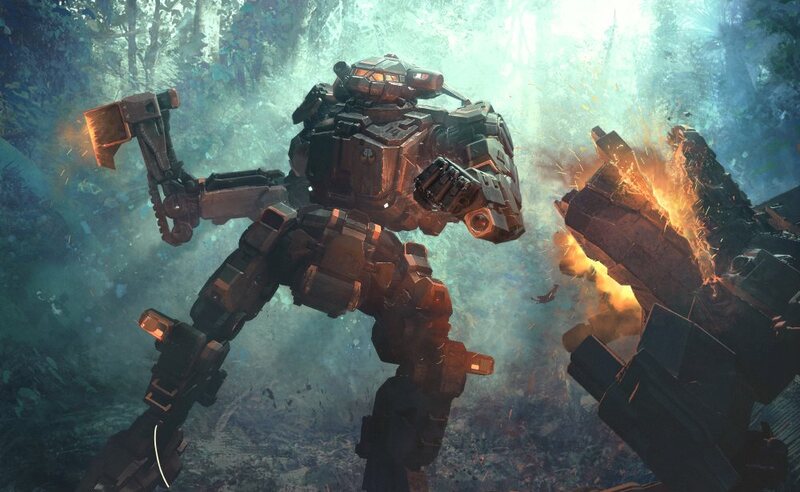 The upcoming BattleTech box sets have been delayed, according to a recent update from Catalyst Game Labs. 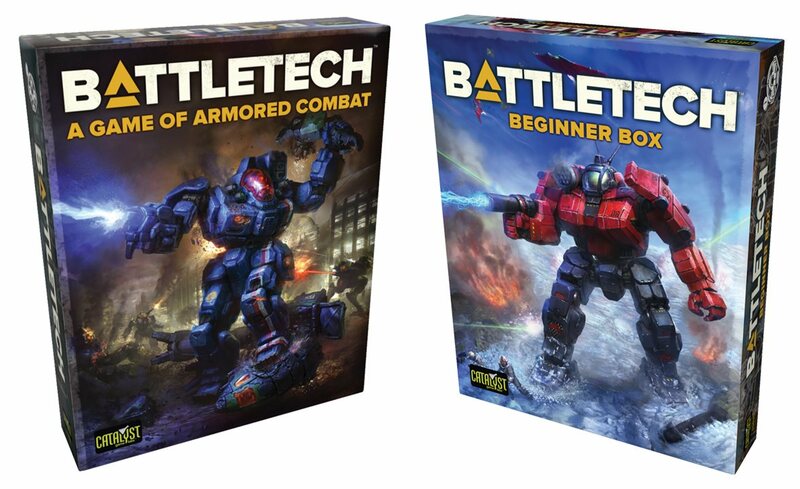 At Gen Con, our humble overlord Nic reported that the new box sets of BattleTech: A Game Of Armored Combat and the BattleTech Beginner Box would be available at the end of October. Now it seems that October date is going to be missed due to some unforeseen circumstances with the manufacturer. “Despite being in near-constant contact with the overseas manufacturer throughout August, it is clear they have not shipped the production runs as expected,” wrote Catalyst on their website. We don’t have a lot of information as to what the problem is, but it’s clear from the post that Catalyst is freaking out. What’s worse, we don’t have a time frame for when the box sets will be available either online or in stores. So that’s a dose of bad news. On the bright side, Catalyst doesn’t have to rely on manufacturers for their digital products. They’ve released a new digital download map pack and a triple-pack of sourcebooks for the BattleTech faithful. The Dig, Defend, or Die scenario book is a free download, as is the associated map pack from the Worldwide Event 2018. The new Touring the Stars: Stotzing is available for $2.99 on .pdf, and Spotlight On: First Marik Protectors is available for $3.99. Or you can get the whole thing as a bundle for $5.99. We’ll keep you informed if we get any updates from Catalyst. This entry was posted in Catalyst Game Labs on 2018/09/12 by Sean. GenCon 2018 is almost a wrap, and Catalyst Game Labs had a What’s up with Catalyst? session where the-powers-that-be shared insights into the BattleTech product line and the future of CGL. Present were Loren L. Coleman (owner), Randall N. Bills (managing director), Brent Evans (BattleTech line developer), John Helfers (fiction director) and others. The group covered a lot of topics, and here are the highlights! BattleTech: Legacy, an anthology, is now back in print and was supposed to be at the GenCon booth, but was not available in time. It should be available in the next 30 days or so. 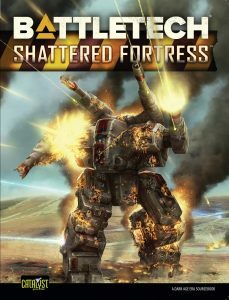 BattleTech: A Splinter of Hope/The Anvil (a novella omnibus) by Philip A. Lee and Blaine Lee Pardoe was available but sold out in short order. 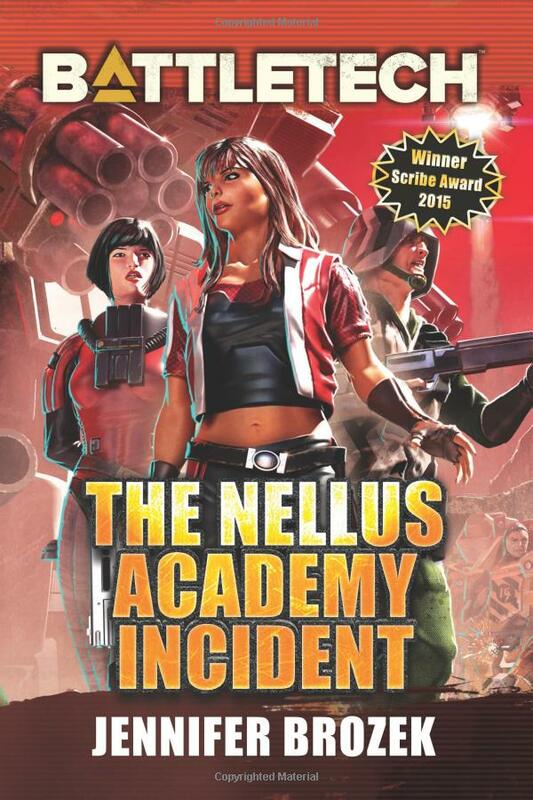 The Nellus Academy Incident, a young-adult BattleTech novel by Jennifer Brozek is also available (on Amazon). Audiobooks are being released for BattleTech fiction! First up is Embers of War, narrated by Tren Sparks. Catalyst is working towards releasing more BattleTech and Shadowrun audiobooks, and will be alternating releases between the universes. Today you can purchase the Embers of War audiobook on Amazon. 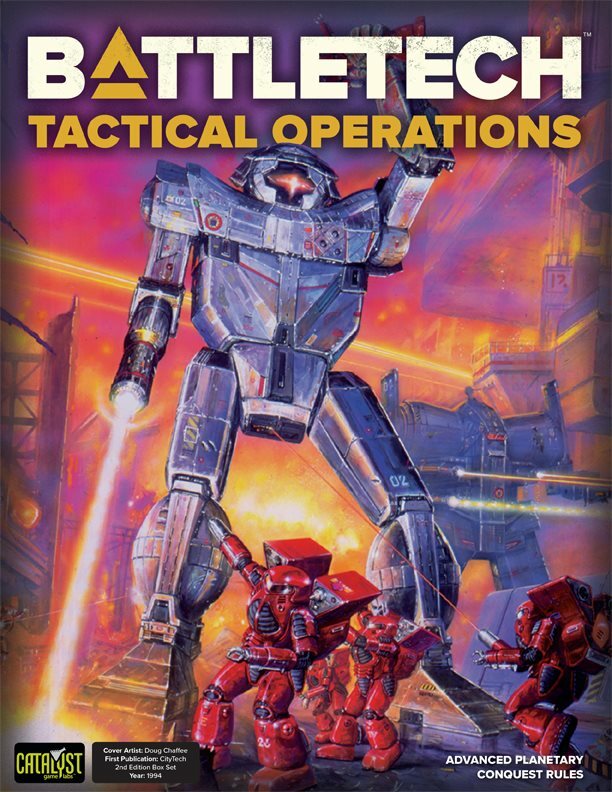 Reprints of the other BattleTech core rulebook are on the way, including TechManual, Tactical Operations, Strategic Operations, and A Time of War. New Map Packs are coming soon, and were available for preview at the GenCon booth. Six all-new maps, “designed to be easier to use and clearer to understand than ever before“. Between now and next year, we can expect a lot of new novels (e.g. Forever Faithful by Mr. Pardoe), and more. Check out the Upcoming Releases page for more details. Loren made no additional comment on the Harmony Gold Lawsuit, and redirected everyone to read the public statement (though he said he is pretty happy with how it turned out). Catalyst has been diversifying into board games (and has some neat little gems like The Duke). 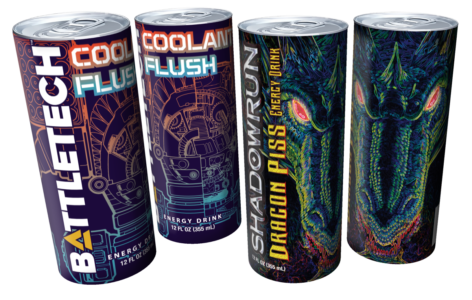 Dragonfire has also been very successful, and they’re hoping they can continue the trend. They’re working on a few new ideas! Next year will be BattleTech’s 35th anniversary! There might just be a few special things to celebrate it. Catalyst will also be at PAX West, PAX Unplugged and Mech_Con later this year. This entry was posted in Catalyst Game Labs, Convention on 2018/08/04 by Nic. Shattered Fortress is almost here! 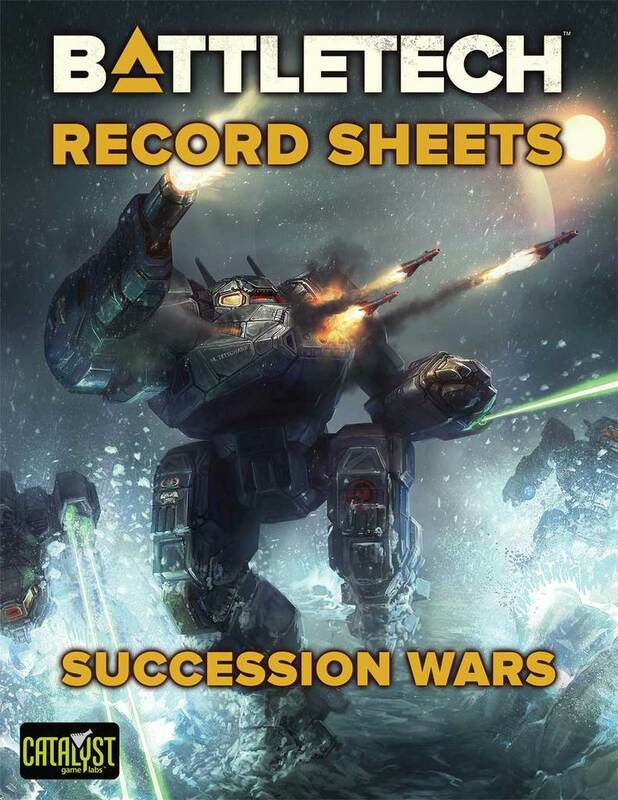 The new sourcebook detailing the end of the Dark Age era of BattleTech is set to debut at GenCon, with the .pdf files to become available the first week of August. We first heard about Shattered Fortress last February when we interviewed Brent Evans, the lead developer for BattleTech. He said that the previously developed ilClan sourcebook had generated so much content that the Powers-That-Be over at Catalyst decided to break it into two books, with Shattered Fortress being the lead-in to the fireworks display that will be ilClan. “In 3146, the Republic of the Sphere hangs by a tenuous thread. The last fragments of Devlin Stone’s dream to shepherd humankind toward a more prosperous future hide behind the impenetrable defenses of Fortress Republic. As the interstellar communications blackout rages, the ambitious Great Houses vie for military dominance, and the bloodthirsty Clans strive to find a weakness in the Fortress’s armor on their path to conquering Terra and claiming the coveted title of ilClan. When the Wall comes down, will the Inner Sphere plunge even further into the abyss of interstellar war, or will this herald the dawning of a new age? This is, of course, good news for anyone who didn’t like the Dark Ages of BattleTech, which according to my research, was most people. The whole “everyone is back to using AgroMechs thanks to the general degradation of technology” was just really… well, dark. That, and it’s hard to get excited about people going to war with pitchforks and hand grenades. We can only speculate on what will happen in each of those years mentioned, but hopefully something happens to the HPG Blackout. Whether that’s a slow rebuilding of the network or some other technology taking its place, we’ll have to wait and see. We’ll certainly get some high-level highlights of what’s to happen with the Clans, and maybe even get a few tales from the Great Houses that don’t involve just giving up planets to the Republic. GenCon begins this Thursday, so fingers crossed those .pdf files will be available on the same day. This entry was posted in Catalyst Game Labs, Convention on 2018/07/30 by Sean. Last March we got a sneak preview of the new BattleTech box sets that were set to come out later this year. A beginner box for $19.99 and a full-set box for $59.99, with both boxes filled to their respective brims with brand new miniatures, maps, and even a delightful new short story. We had plenty of details, but we never received a date. We were left to wonder when–oh when!–our fair lady would finally arrive. Well, wonder no longer. As updated on the Catalyst Game Labs news page, BattleTech Beginner Box Set and A Game Of Armored Combat will debut at this year’s GenCon. The store release will still have to wait a bit, sadly. Wider release at your local neighborhood miniatures and game shop will follow “soon” after GenCon, but we don’t have specific dates. Here’s hoping they’re already in transit and just waiting to be loaded off the trucks. As a quick reminder, the Beginner Box Set comes with two–count ‘em, TWO–all new miniatures: the Steiner favorite Griffin and the much more widely used Wolverine. The full-sized Game Of Armored Combat comes with eight new miniatures: the Awesome, BattleMaster, Catapult, Commando, Locust, Shadow Hawk, Thunderbolt, and previously mentioned Wolverine. Both box sets come with an all-new, never-before-seen 48-page novella from William H. Keith detailing the saga of Carlyle’s Commandos and how their surviving members eventually formed the core of what would become the Gray Death Legion. On top of that momentous news, Catalyst has also revealed new vintage cover art for their hotly anticipated rulebook reprints. Classic art from 1987 and 1994 will adorn the faces of BattleTech: Total Warfare, BattleTech: TechManual, BattleTech: Tactical Operations, and BattleTech: Strategic Operations, available now for $15 in .pdf format. See if you can spot the original books where these iconic pieces were taken from. GenCon is set to begin August 2nd, so it won’t be long before we finally get to see these box sets in the flesh. Or rather, paper with a bit of plastic. Whatever. This entry was posted in Catalyst Game Labs on 2018/07/26 by Sean.